ESO Supernova Exhibition — What's in our Solar System? Orbiting the Sun are eight major planets - with their moons and rings - and countless smaller bodies: dwarf planets, asteroids and comets. Together, they make up our Solar System. Much ado about nothing: Comets may look impressive, but their long tails are very tenuous, and their icy nuclei are only a few kilometres across. 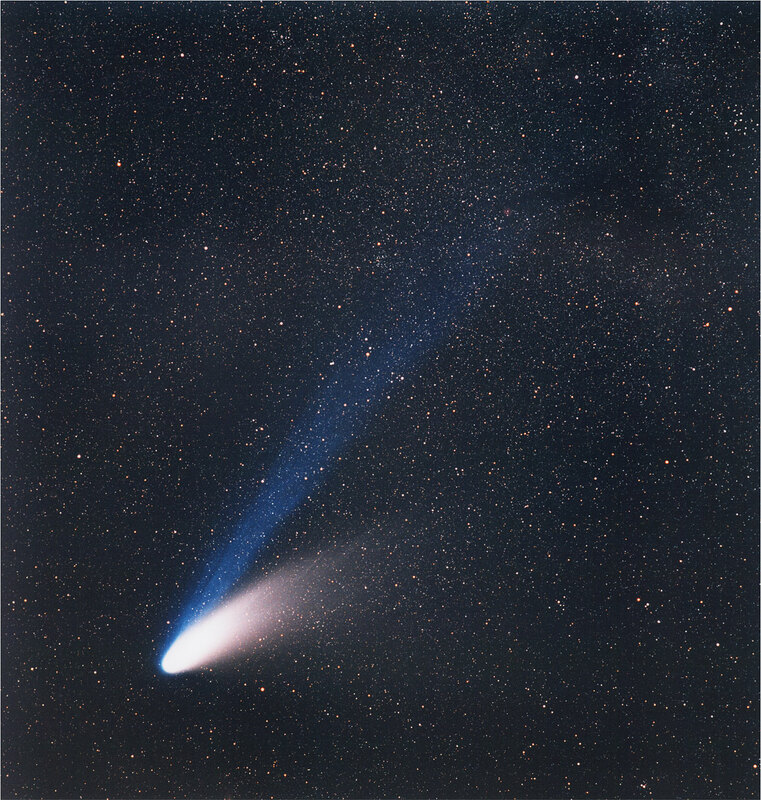 This photo shows Comet Hale-Bopp. Central star: Glowing in ultraviolet light and adorned with active regions in this satellite image, the Sun contains 99.8 % of all the mass of the Solar System. Eight worlds: Although not to scale, this image depicts the eight planets in the Solar System: four rocky worlds, and four gas giants. Our Solar System is basically one star (the Sun) and a tiny amount of debris, less than 0.2 % of the total mass, left over from the Sun’s birth. Four small, rocky worlds, including our home planet the Earth, orbit the Sun within 250 million kilometres. Four larger planets – the gas giants – are spread out over distances between 750 and 4500 million kilometres. 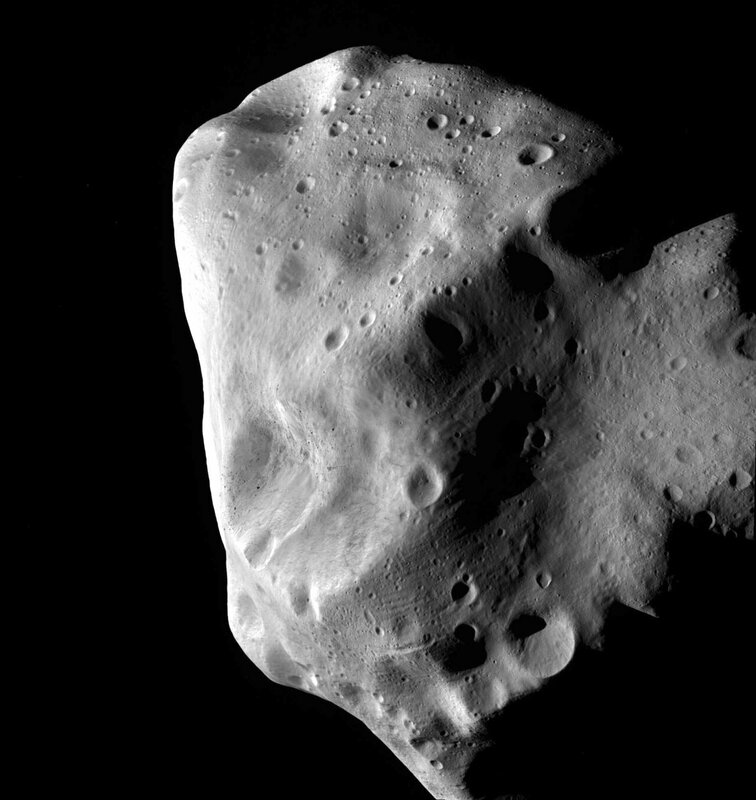 Rocky asteroids orbit between Mars and Jupiter, icy mini-worlds can be found beyond Neptune, and smaller comets traverse the system on highly elongated paths. Minor planet: At some 100 kilometres across, Lutetia is one of the largest asteroids in the belt between the orbits of Mars and Jupiter. 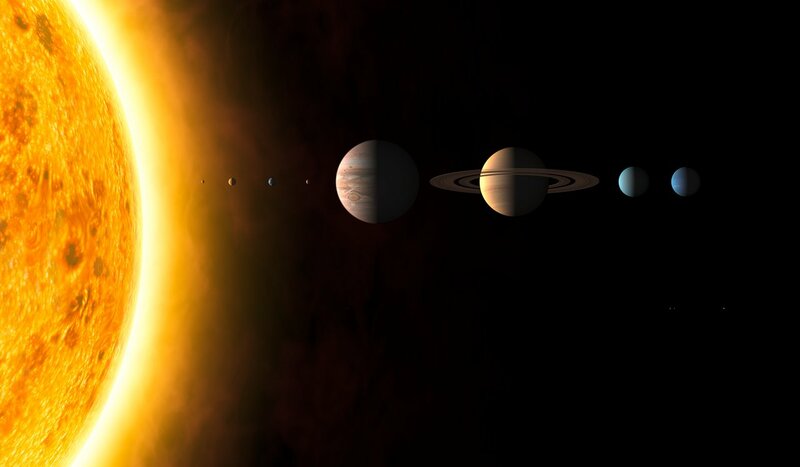 Structure of the Solar System: The central body of the Solar System is our Sun. The inner Solar System (left) consists of the four rocky planets Mercury, Venus, Earth and Mars, and the asteroid belt. The outer system (right) contains the four gas giants Jupiter, Saturn, Uranus and Neptune, as well as the Kuiper Belt, home of the dwarf planet Pluto. You probably know the eight planets by heart: Mercury, Venus, Earth, Mars, Jupiter, Saturn, Uranus and Neptune. But do you know about the other objects in the Solar System?